​This machine can store up to 100 programs, with its touch screen display you can store the strip diameter and strip length to recall from the library very quickly for fast and accurate change overs between wires, you can label each wire and also password protect the programs. This enables you to scan a bar code, which will load the program automatically for your production eliminating any errors from loading the wrong program. This machine is able to strip the jacket from large cables up to 15mm ​diameter at a length of 65mm long, and flat cable 20mm wide, with the use of either HSS V Blades or Radius blades, Ideal for multicore or standard copper cables. It can be used with either a foot pedal or a wire stop sensor for automatic use. 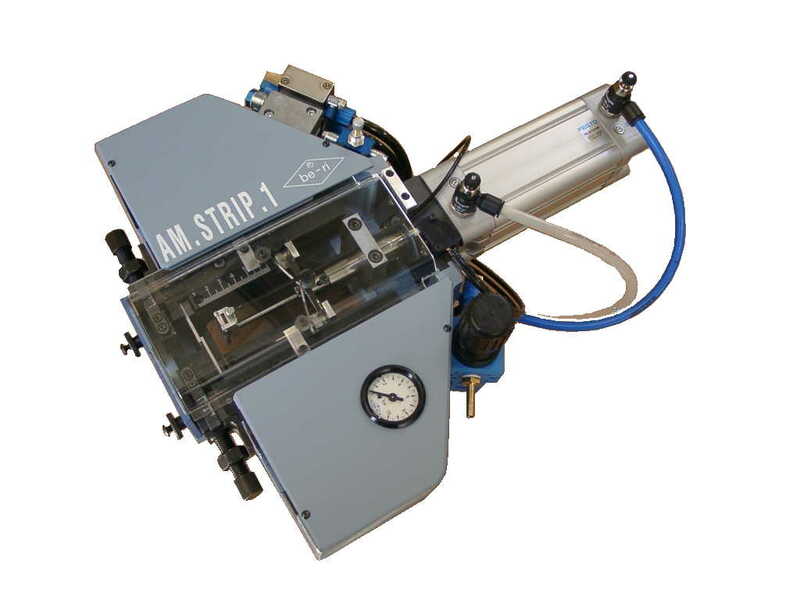 This machine is able to strip the jacket from large cables up to 25mm ​diameter at a length of 120mm long, and flat cable 30mm wide, with the use of either HSS V Blades or Radius blades, Ideal for multicore or standard copper cables. It can be used with either a foot pedal or a wire stop sensor for automatic use.